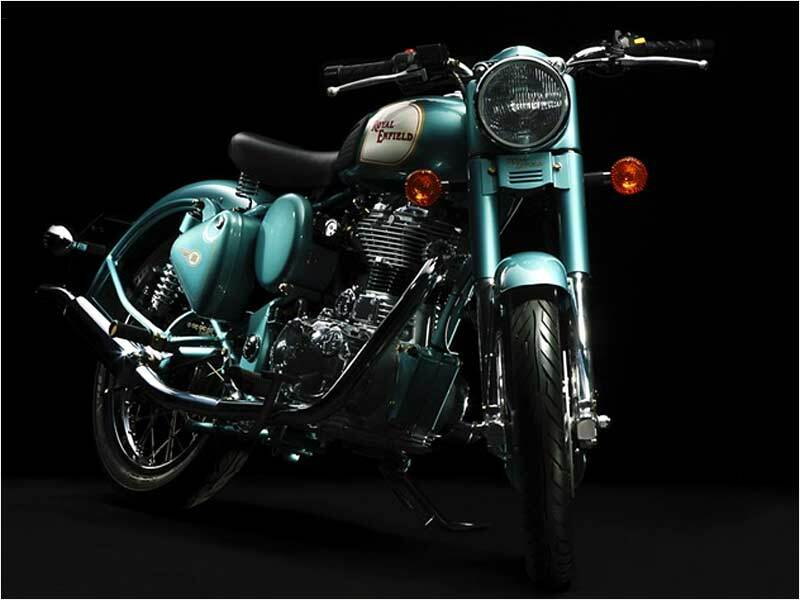 The new Royal Enfield Classic 350, which was launched along with its elder sibling, Classic 500, is a scaled down version. The motorcycle in 350 version is available in India in view of the Indian bullet loyalists who would find the 500 model expensive. The motorcycle inherits most of the features of the higher model except for the difference in the power and performance and the defining look intrinsically possessed by each other. 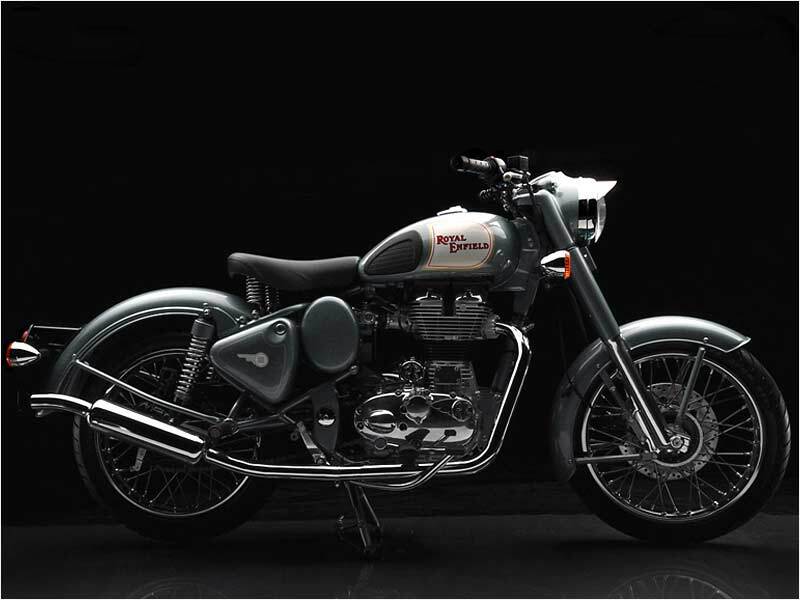 The Classic 350 model will give a new passion to the average bullet enthusiasts fulfilling their desire with all the satisfying features of the bike. It is without any doubt that the motorcycle will share a good pie in the market with the fresh demand from the bullet-hungry fans. Royal Enfield Bullet Classic 350 runs on the 346cc engine derived from the Thunderbird Twinspark which spouts a maximum power of 19.8bhp at 5250 rpm with the maximum torque of 28Nm. Like the Enfield 500, it employs 5-speed gearbox and the UCE (Unit Construction Engine). 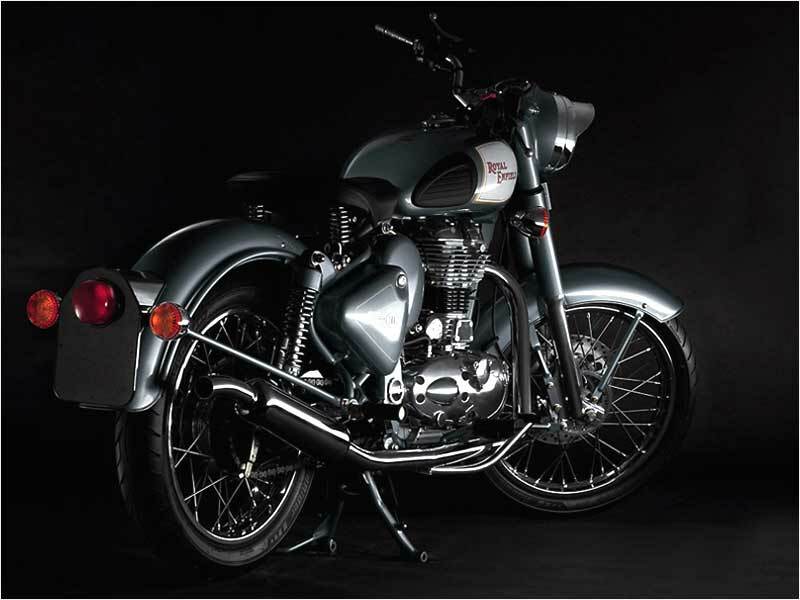 The new version of Bullet Classic 350 is no less than its elder brother in terms of look and it also comes with oodles of enticing features such as old style round headlamp, traditional front number plate, visible steel springs, deep-drawn fenders of the rear tire, new 18" spoke wheels, fuel tank with post war graphics, thigh pads and single saddle seat with springs, 7 inch twin leading-shoe front brake, Pagani turn signals, sealed beam head lamp and body colored frame. These features really highlight the true macho character of the motorcycle and they are good enough to gratify the desire of the bulleteers. Royal Enfield Company claims that the bullet classic have a top speed of 100KM/hr and it offers a mileage of around 35-40 kms per litre. Similar to the Classic 500, it also features both E-start and kick start which is a welcome feature as compared with other bikes of the day. The hydraulic front disc brake is up to the mark and operates well in all conditions. The front telescopic hydraulic set up and the gas shock absorbers effectively combat the shocks and bumps lending a very comfortable ride. Royal Enfield Classic 350, a perfect and well-designed advance bike, blend with vintage looks, exhibits an average mileage of 33-36 kmpl. Royal Enfield Classic 350 is available in the shades of Red, Black & Silver and it is priced at Rs. 98,800 in the Delhi ex-showroom and the on road is in the range of Rs. 1,10,000.